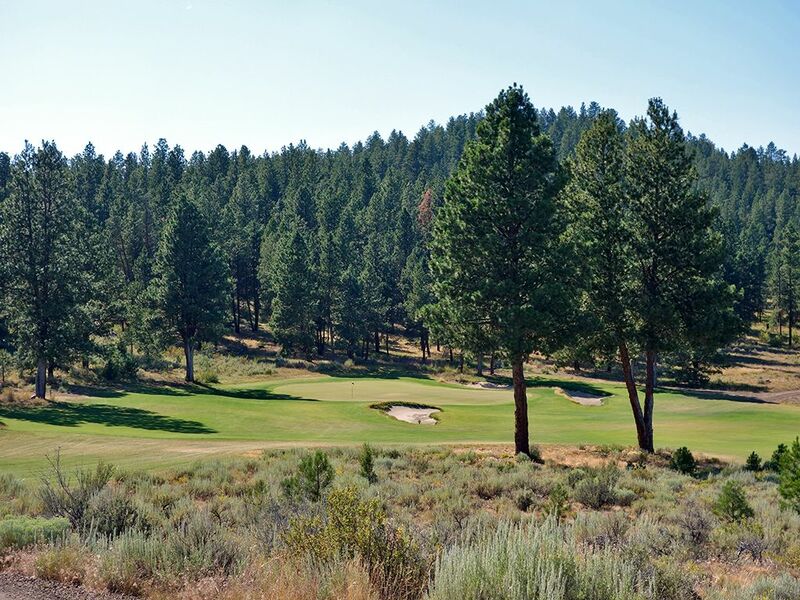 Course Website: Official Website - Visit Silvies Valley Ranch (Craddock)'s official website by clicking on the link provided. 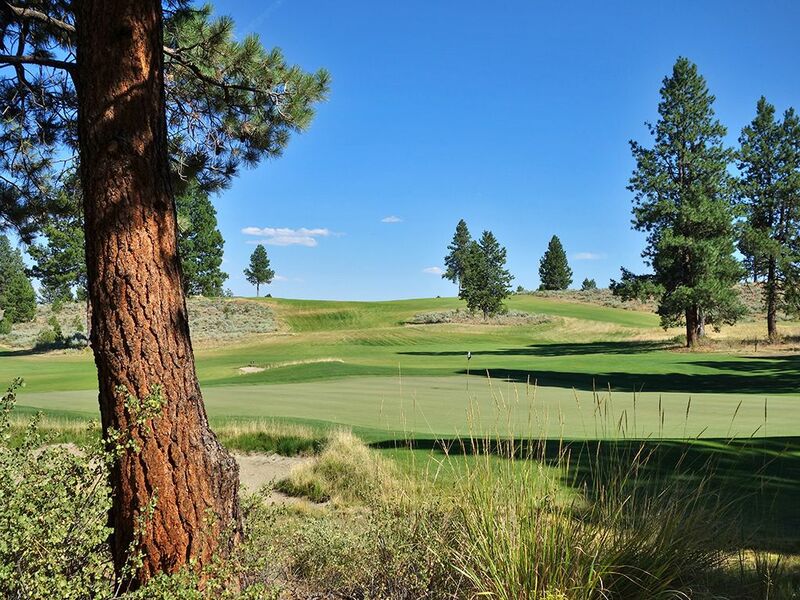 What to Expect: Silvies Valley is a fully operational cattle and goat ranch three hours east of Bend, Oregon near the town of Burns. The 140,000 acre property is the definition of remote including the lack of cell service while at Silvies. The ranch counters that by giving guests a handheld radio that can be used to contact the various areas of the property and delivering Wi-Fi to your nicely finished room which can be utilized to make phone calls and receive texts once you engage that option on your phone. 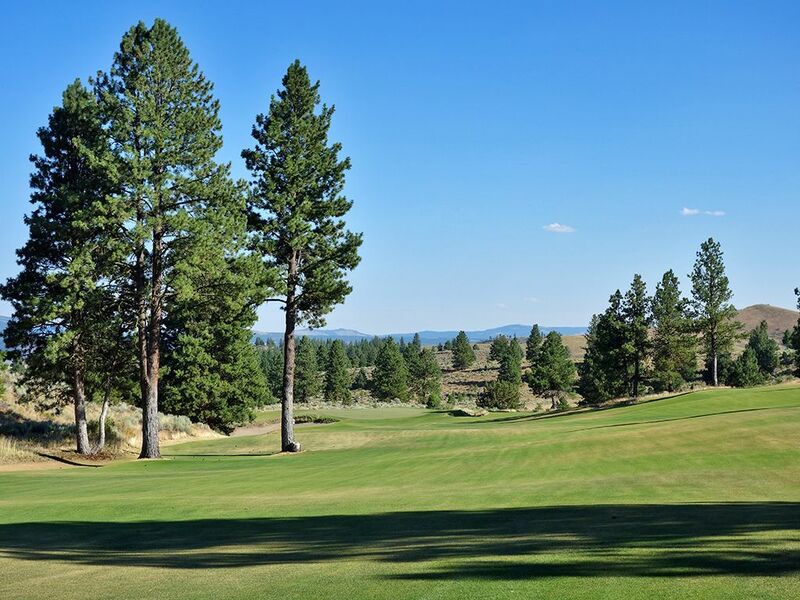 Upon check-in you will also be given a golf cart that you will utilize to get around the property and can be used on the golf course if you choose not to walk the undulated terrain. 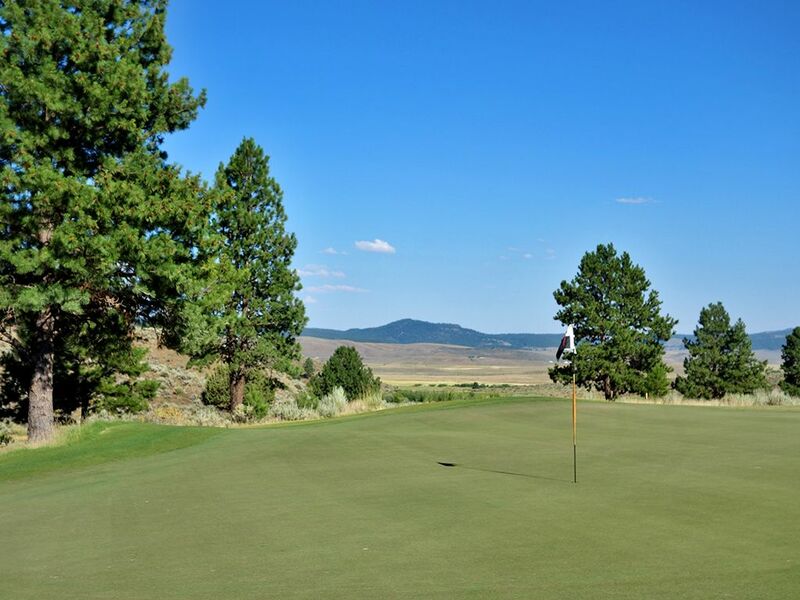 Once you get to the golf course you will instantly notice the massive fairways (300 acres worth) and greens which also helps accommodate the reversible routing that requires versatility in the layout to effectively accomplish playing holes multiple directions. The fairways and tees are fescue grass while the greens offer a more pure surface with bentgrass. The superintendent likes to maintain some dry spots and brown edges in order to accomplish the firm and fast conditions that links-like courses shine through best with as creativity in the ground game can be utilized. In fact, the highly undulated greens are quite firm and roll out on approaches more than anticipated yet putts don't roll quite as fast as one might think. 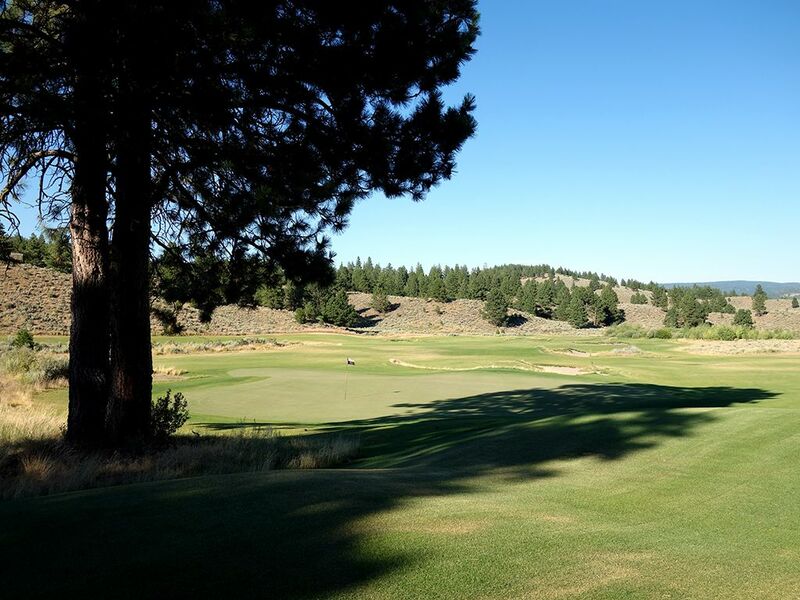 If you manage to hit a ball outside of the runway sized fairways, your ball will likely have an encounter with the sagebrush or fescue grasses that account for the low lying foliage or possibly get swatted down by one of the towering pines that are scattered throughout the property. In addition, the scrub around the bunkers can eat your ball and be lost forever more so than any other course's bunkers I've encountered. 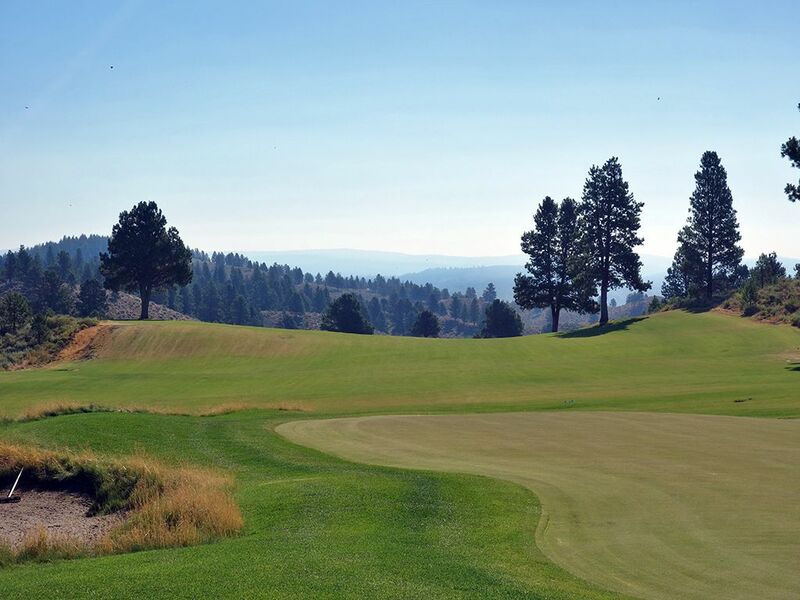 Plenty of elevation changes exist throughout the course which combined with the wind can cause holes to play quite a bit longer or shorter than they may appear on the scorecard. There are plenty of birdies to be had on both courses with Hankins features driveable par 4s and Craddock featuring back-to-back downhill par 5s as some of the best opportunities to go under par. There are nine greens that Hankins and Craddock share then they each have nine greens that are unique to their layout. One of the most fun aspects of playing Silvies is figuring out where you are on one course and where in the routing that is on the other course. The slope and rating for both courses is relatively modest in relation to the length likely because the fairways are so wide and the overall lack of hazards although plenty of bunkers (treated as waste areas) and a few forced carries exist. The toughest rating on the course will be found through the new pink tees on the Hankins course which will stretch that layout over 8,000 yards. 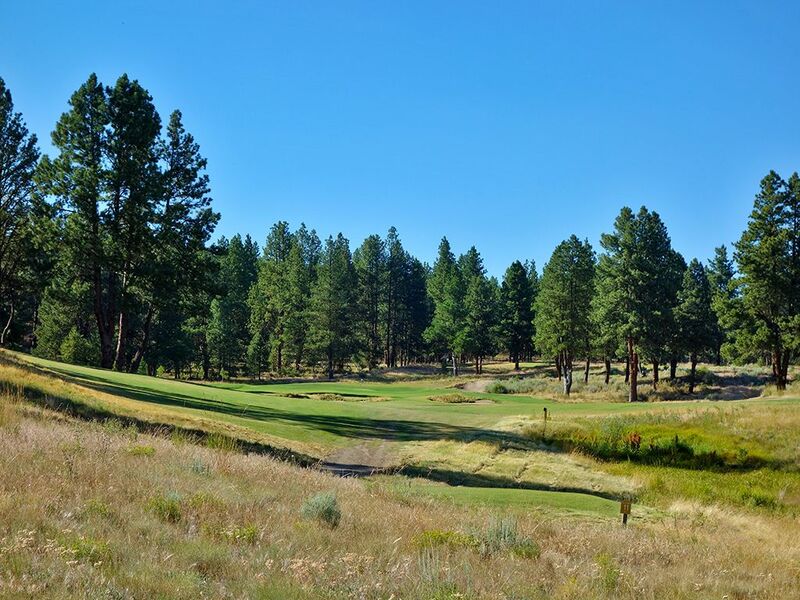 Ultimately, the course is meant to be fun which it is with great views, downhill shots, opportunities to score, and a lot of variety in shapes, lengths, and ways to play. On a side note, guests are invited to dinner where a family style meal is served with staff attending and interacting with guests. The food is good to be sure, but at $45 - $65 per person it will set you back plenty to fill your belly. 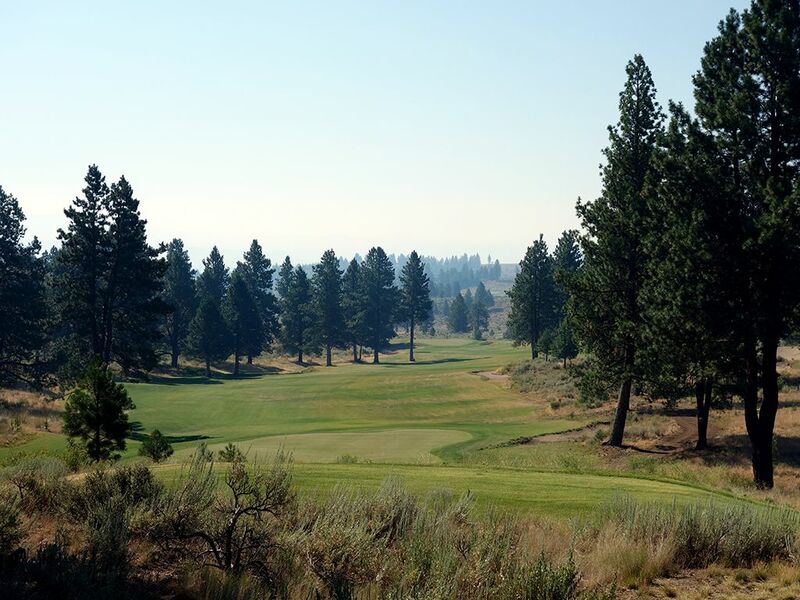 In addition to the full length courses, there is the Chief Egan track which is a short nine hole par 3 course and the McVeigh course is a seven hole course with four par 3s, two par 4s, and a par 2. While taking the goat caddies with you on a loop around McVeigh may be a novelty to enjoy, the layout is ridiculously brutal and will eat balls and egos regularly. It was meant to be a challenge but I think over time the course will be shut down from lack of interest or modified to be enjoyable enough to pay for. Signature Hole: 7th Hole – 260 Yard Par 3 – The impressive 7th drops nearly 40 feet from tee to green and you're going to need the help considering this hole tips out at a monstrous 260 yards. A long and skinny bunker lines up with the center of the green so you need to fly it or utilize the slope left of the bunker to bounce your ball into the putting surface. If the pin is on the right side of the green it is tough to hit it close since the front edge slopes away from the putting surface and a large bunker frames the right side of the hole. With the big drop and thin air this is one of the most fun approach shot at Silvies. As a side note, this green doubles as the 10th green on the Hankins course which is a par four playing in from the right side. Best Par 3: 12th Hole – 190 Yards – A standalone hole separate from the Hankins course, the 12th at Craddock enjoys a secluded setting with the green being the highest in elevation of any on the course. 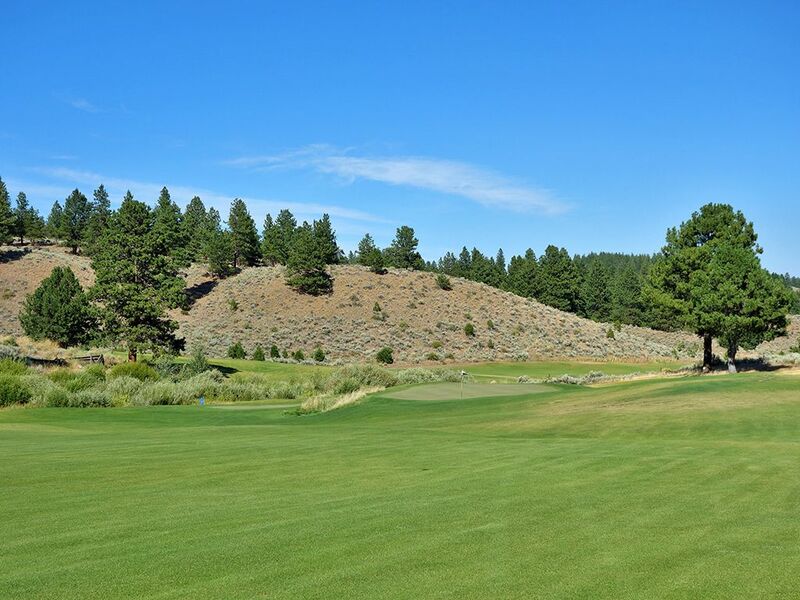 The hole is bunkerless but the slopes and surrounding natural areas beg you to hit the green if you want a good chance at carding a par, because saves from off the green are tougher than they appear. The setting and simpleness of the presentation are what make this understated hole a winner. 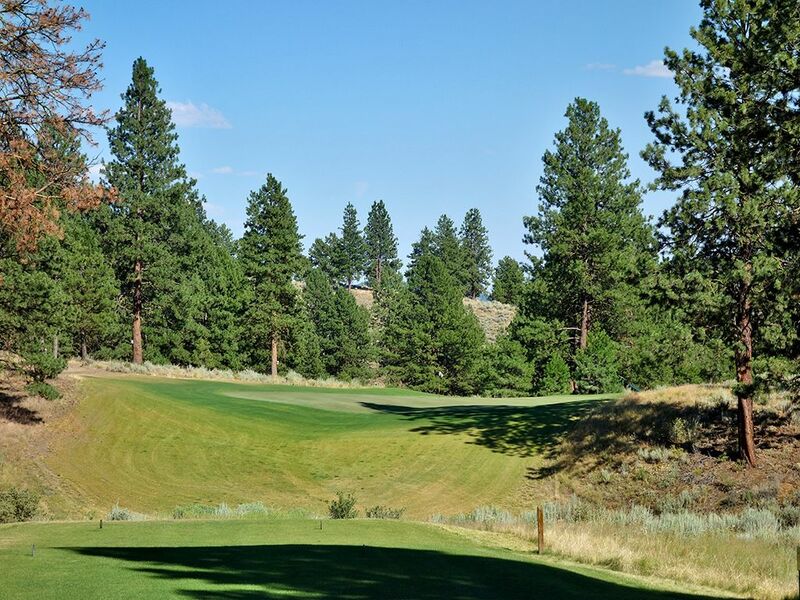 Best Par 4: 8th Hole – 445 Yards – Time to summon your inner field goal kicker and pipe one through the trees that stand as virtual goal posts that frame the half-pipe shaped fairway. If you successful split the uprights and carry the top of the hill where the trees sit you'll be rewarded with a significant downhill kick and roll down the short grass. Keep your approach shot right of the small bunker that front the green as balls will kick off the slope and work their way onto the putting surface. Shots that get greedy and go left of the bunker will likely kick into the junk and result in a lost ball. 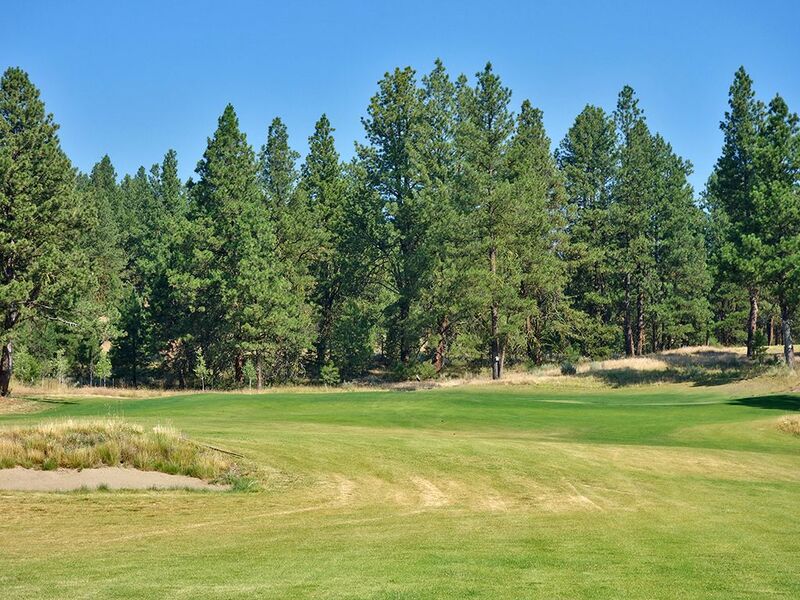 This green doubles as the 9th green on the Hankins course which is a 500 yard par four that comes in a slightly lower and shallower angle left of where you'll be teeing off here. 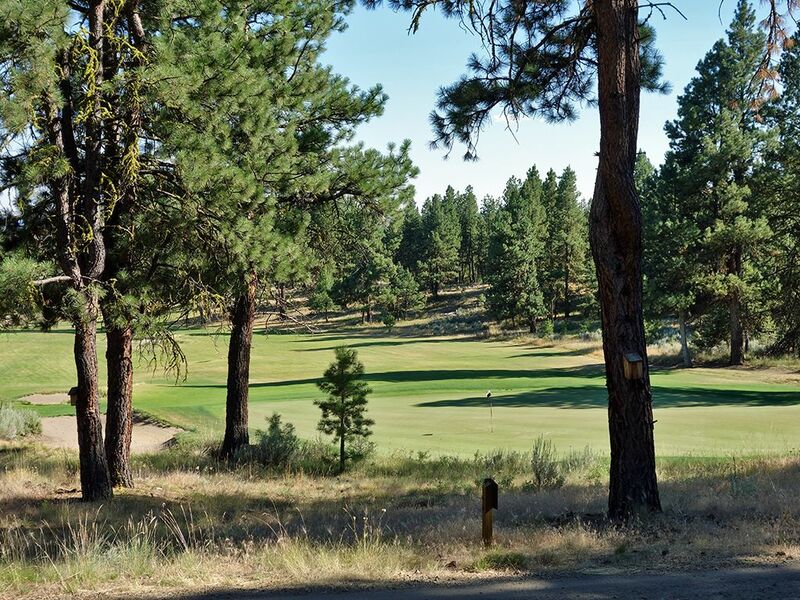 Best Par 5: 13th Hole – 550 Yards – The highest point of golf in the state of Oregon is found on this tee box which sits at 4,887 feet above sea level and is begging you to grip it and rip it down the hill. The tee box serves a dual purpose as the teeing area for the par three 7th hole on the Hankins, so if you see some divots don't mistake them as being from players overswinging their driver on this par five. The ideal tee ball holds its line down the right side of the fairway just inside the tree line and then uses the right to left slope in the short grass to work its way towards the middle and further down the fairway. Balls that start down the center of the fairway will work their way to the low side of the fairway on the left and be forced to contend with the trees standing in the fairway on that side. On the approach shot it is best to take one club less and aim to the right side of the green and let the fairway contours work your ball onto the green and set up a potential eagle putt. The first of back to back par fives before a driveable par four, the next three holes are like manna from heaven they are such a generous gift so you'll want to take advantage. Also, take a moment to soak in the view from the green here, it's a beauty. As a side note, the tee box for the uphill par four 6th hole at Hankins sits next to this green and plays up the fairway you just came down and terminates at a green that sits at the base of the hill that Craddock's 13th tee sits on. Birdie Time: 15th Hole – 315 Yard Par 4 – While the downhill reachable par fives found at #13 and #14 are certainly great scoring opportunities, it is this driveable par four that everyone should be licking their chops on when they arrive. Either side of the center bunkers leaves you in a good spot to chip from so take a rip whatever direction you feel most comfortable aiming at and get your favorite chipping club ready. Most of the green runs away to the back so on your pitch make sure you play it shorter than you think and let the firm and fast green work to your advantage with the ground feeding your ball towards the hole. 13 through 15 is just pure fun so have a great time with it while you steal some strokes back from Old Man Par! Lastly, this green doubles as the par five 3rd green on the Hankins course and is approached from the lower left side. Bogey Beware: 11th Hole – 445 Yard Par 4 – With the huge fairways and green that Silvies is so well known for, the 11th actually makes you pucker on the tee. The entire fairway isn't visible from the tee which messes with your head a bit and then trees frame both sides of the short grass while a center cut fairway leaves you guessing where to hit it. If you manage to find the fairway off the tee it is hardly smooth sailing since this hole plays uphill from tee to green and makes the approach play longer than the yardage indicates. 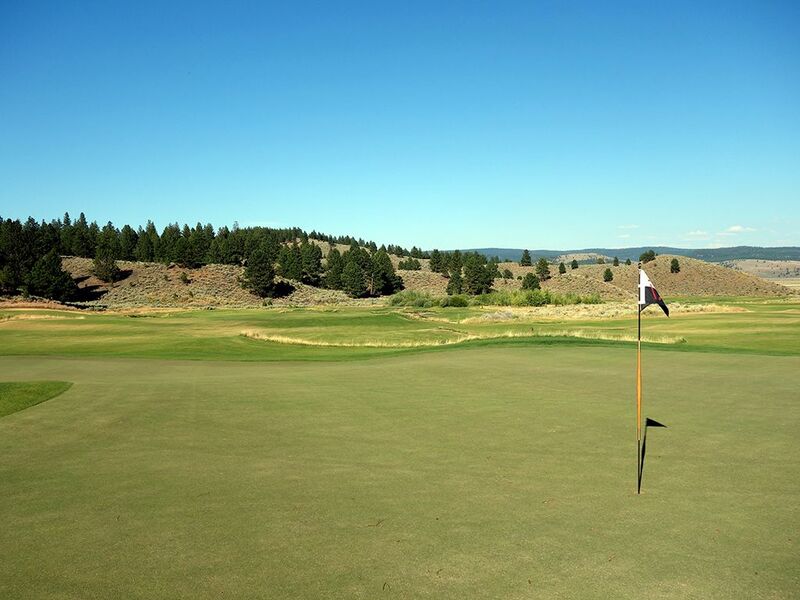 Upon reaching the putting surface you will find one of the most undulated greens at Silvies which regularly yields three putts. 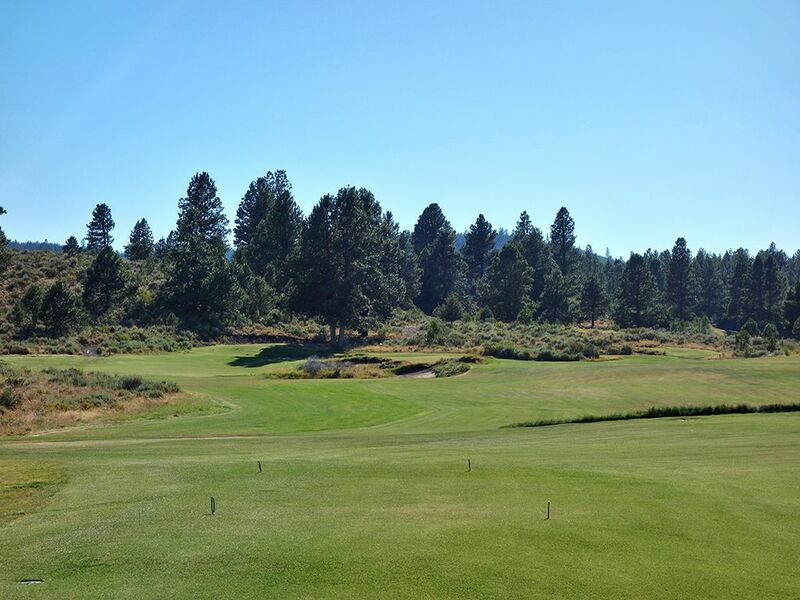 The setting is great here in a nice secluded portion of the property but your score could leaving you crying.